Three restaurants in Spain were ranked among the top ten but the prize went to Italian eatery Osteria Francescana. Italy’s Osteria Francescana was crowned the world’s best restaurant for the second time on Tuesday at an awards ceremony put on by British trade magazine Restaurant, beating out top eateries in Spain and France. Spain’s El Celler de Can Roca, a restaurant in Girona, northeastern Spain, which is run by the three Roca brothers and took the top honour in 2013 and 2015, came in second place. El Cellar de Can Roca “thrives on the endless creativity of the trio of gastronomically talented brothers behind one of the most acclaimed restaurants on the planet,” said the guide. This year’s list puts are two other Spanish restaurants in the top ten, both Basque, proving that the cuisine of the northern Spanish region is one of the best in the world. 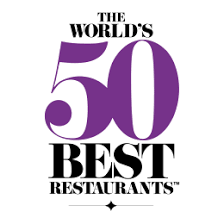 And Spain maintains a total of seven restaurants on the top 50 list. In at number nine is Mugaritz in San Sebastián: “a powerhouse of activity hidden in the green hills of the Basque Country”, explains the guide. The restaurant is run by chef Andoni Luis Aduriz, known simply as Andoni who, according to the World’s Best Restaurants guide, “is the natural heir to Spain’s most pioneering chef after Ferran Adrià (formally of elBulli). And at number ten is Asador Etxebarri, where chef Victor Arguinzoniz is described as having “a remarkable ability to coax out explosive flavour from seemingly simple ingredients, most of which are grilled over an open hearth. Arguinzoniz worked in a flag factory for years before buying the restaurant in the town around an hour from San Sebastian with his father and uncle and teaching himself to cook. Although Spain was pipped to the top spot by an Italian restaurant, it still dominates the list with three entries in the top ten, compared to one entry each for Italy, the USA, and Thailand. Both France and Peru had two restaurants in the top ten list. Restaurant magazine, owned by William Reed Media, launched the awards in 2002 and they are now as coveted by restaurants as Michelin stars, although the methodology used to select the best restaurants has faced criticism, especially from several French chefs who say it remains unclear. There are no criteria for putting a restaurant on the list, which is based on an anonymous poll of more than 1,000 chefs, restaurant owners, food critics and other industry insiders from around the world. Each member gets 10 votes and at least four of those votes have to go to restaurants outside their region. The 2018 list of 50 best restaurants included eateries in 22 countries – but over half were in Europe. Six are in the United States, six in Latin America and six in Asia. Tuesday’s ceremony also handed out individual chef awards. Britain’s Clare Smyth, who catered the dinner at the royal wedding of Prince Harry and Meghan Markle last month, was named best female chef and France’s Cedric Grolet best pastry chef. Peru’s celebrity chef Gaston Acurio, who is known for combining classic European techniques with typical ingredients from the Andean country, was given a lifetime achievement award. The top restaurant award has gone to Spain seven times, the most of any country. In addition to El Celler de Can Roca’s two wins, ground-breaking Spanish chef Ferran Adria’s El Bulli, which he closed in 2011, took the prize a record five times.